I've received this week the Blackberry device : the PlayBook. I won't write another device comparison (google is there for that! 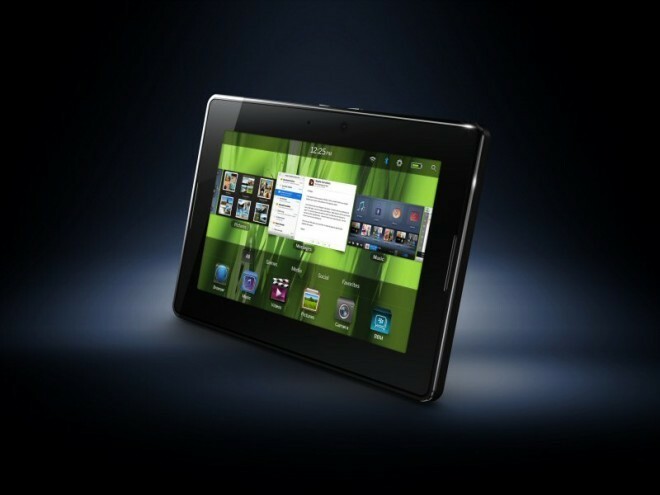 ), but write about my feeling between the PlayBook and The Samsung Galaxy Tab (Android 2.2). It contains USB cable, the power adapter (with cable, not with a female USB plug) and warranty. A covver and a dust sheet are provided (only the dust sheet provided with the Galaxy Tab). The device is heavier than the Samsung, a bit larger (same screen sise). Event if the weight difference is minimal, it's less confortable. The power button isn't easy to push. While starting, a tutorial in a few steps to configure the tablet and take charge of the configuration. Wifi configuration is easy (same as Android) and quick. On Samsung Galaxy Tab, Web pages containing multiples Flash animation (video player + ads) are jerky, with the Playbook it's always fluid. The interface is pretty, reactive. I'd like more personalization capacities like create my own categories. I don't have Blackberry's phone. So I can't sync the PlayBook with my phone. There is no alternatives for Calendar, Scheduler, Address Book. What a shame! Someone needs to fix this! I expected to have a small number of applications. It's worst! The App Store is empty! The App Sotre works like the App Sotre or the Android Market. Only the possibility to apply all updates is missing. I can manage firmware updates on the device, qood idea! Audio player, video player working fine. There is a dedicated software available to download in order to synchronize the device and sync media files form iTunes or Windows Media Player. Once the device is plugged with the USB connector, the device is seen like a storage device. By using wifi, the device is seen like a network storage. The PlayBook can charge itself when connected to a computer (unlike Ipad). I like the design, but I'm very disappointed by the lack of application, especially the fact that non RIM-user can't manage their contacts, scheduler, address book. The device does'nt charge itself if it's not powered on (outlet or USB).